CLEAR CELLOPHANE BAGS 1.2 MIL. PICK SIZE! 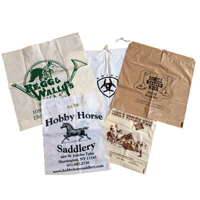 CUSTOM POLY BAGS ARE AVAILABLE IN SEVERAL DIFFERENT SIZES DESIGNS AND COLORS! PLEASE CALL FOR PRICING!